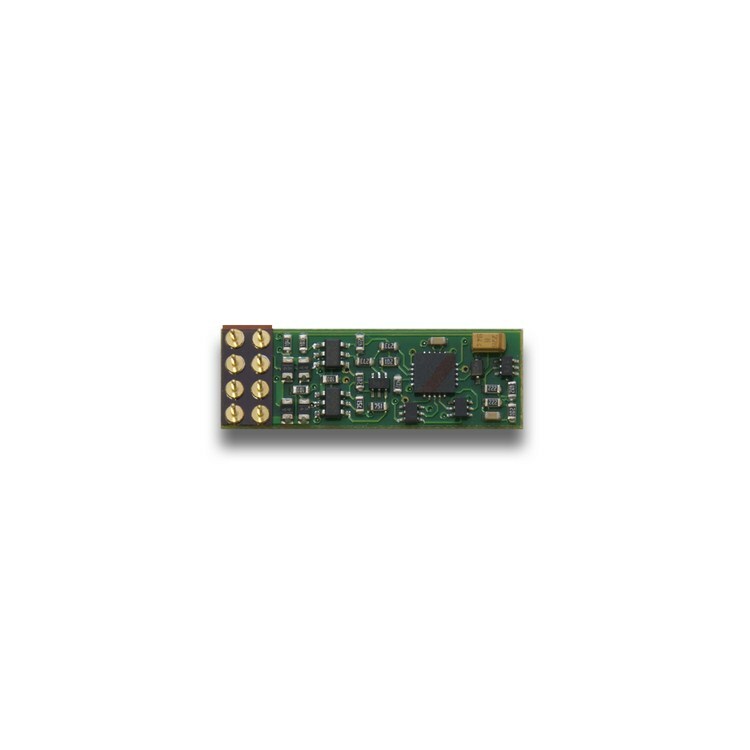 This product has been replaced by the 1 Amp N / HO Scale Integrated DCC Medium Plug Mobile Decoder (DN146IP) and is no longer available. Click here to view the DN146IP. Your locomotives look like the real thing. The Digitrax LocoMotion™ System makes them run like the real thing, too! SuperSonic™ motor drive for silent operation. All Mode Programming with Operations Mode Read Back reads back CV values right on the mainline. Motor Isolation Protection prevents damage to your decoder.